Cook the meat in 1 liter water with salt for 20 minutes. Remove the meat, but keep the broth (bouillon). Cut meat into thin slices (strips) and mix this with corn starch, soy sauce, sugar, pepper and oil. Let it marinade for 30 minutes. Wash cabbage and cut into strips and let it cook in the bouillon for 15 minutes. 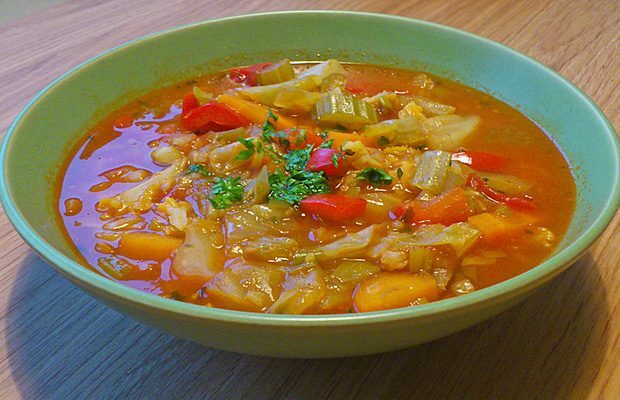 Cook soup on low heat another 10 minutes and serve hot.